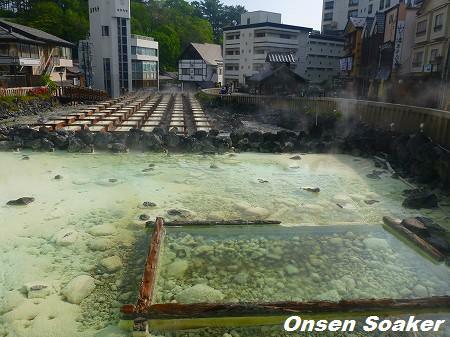 Yubatake or Onsen Pond of first ranked Kusatsu Onsen, Gunma Pref. It's not for soaking. The Biglobe's recently released "Forth Onsen Awards", shows popular onsen ranking as well (As for most popular onsen ryokan/hotel ranking, see my previous post). But since data was replaced, a photograph is no longer displayed. Please change URL of the img tag to http://farm5.staticflickr.com/4126/5085133646_e85f831a50.jpg .